Karla attained her level 1 coaching certificate while she was at University and has enjoyed coaching many young netball teams since this time. These include; teams in local competitions, school representative teams and even teams competing at the NSW State Championship level. 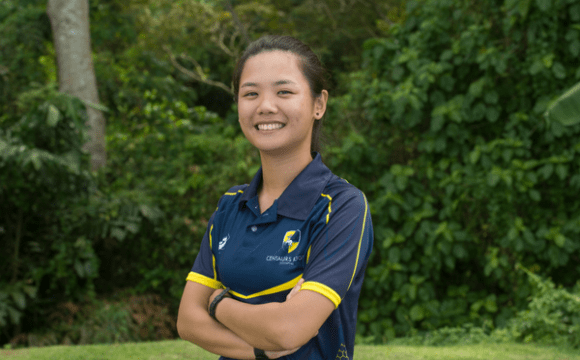 More recently, she has coached school teams in Singapore’s ACSIS league, her own daughter’s netball teams at ANZA as well as primary school students within school PE programmes. She began playing netball at a very young age and finished 26 enjoyable seasons later, only retiring to become a mother. She played at the school, club and representative level in various country towns throughout New South Wales, Australia before finishing her netball career at the competitive state league level in Sydney and then Melbourne. Karla enjoys coaching netball to all age groups. She places great importance on basic skills at all levels and gets much satisfaction from individual as well as team improvement. She blends intensity with fun and encourages humour in her sessions. Her hope is that all young netballers will love learning and playing the game well beyond their teenage years. Some of Singapore’s finest and most qualified. Experience & Qualifications… I started playing netball when I was 13 years old, and have been playing ever since! I’ve played for schools and currently I’m playing with my club. I coach the local schools full time. The best thing about coaching… there’s fun and games and everyone can have a go at all the activities and positions. It doesn’t really matter what your standard is at the moment, there’s always something for you to learn and take away. And at the end of the day, we make new friends, and friends who train hard together, are the best kind of friends. Jolynn is a Level 2 netball coach and has been coaching netball for the past 18 years. 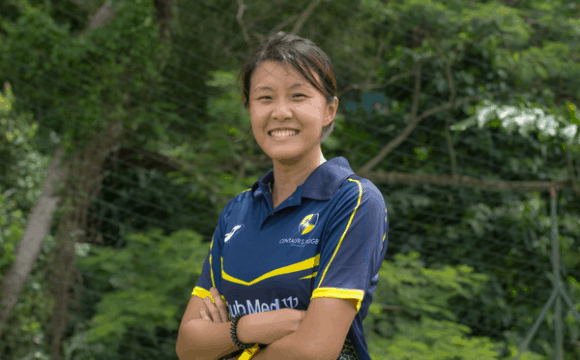 She has coached teams at all levels, from local and international schools, within local clubs, within the competitive Singapore Super League, through to the elite Singapore U17, U19 and U21 teams. She has toured through Asia as the coach of the National Teams and was even invited to coach the Philippines National Team to help with preparation for the 2014 SEA Games. Jolynn’s impressive playing career includes; representing Singapore in the U19s team and then a long career with various teams within Singapore’s competitive Super League. She still enjoys playing netball in the Annual Energizer League and hopes to continue for as long as possible. She places great importance on the fundamentals and her rare skill is teaching complex skills in a simplified manner. Her firm manner and ability to differentiate advice for her players’ needs makes her a popular and well-respected netball coach. 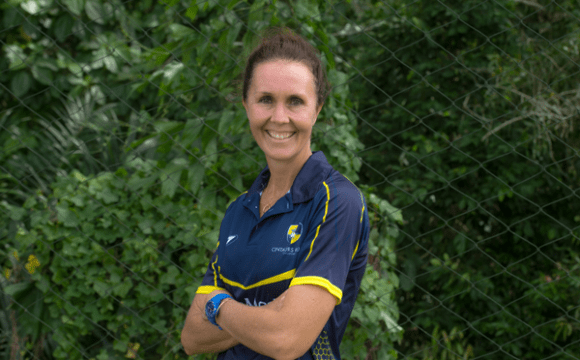 Experience & Qualifications… As well as coaching her young daughter’s team for the past 3 years, Jo has been playing netball for over 35 years, including senior level in Australia, Hong Kong and Singapore. She also represented Hong Kong in the Netball World Cup in Jamaica in 2003. She is a Level 2 Umpire. The best thing about coaching… Jo is passionate about building a love of netball from a young age, which can see girls playing for a large part of their lives. She places importance on building fundamental skills as the foundation to whatever social or competitive netball the girls will play in the future. Experience & Qualifications… Sabina is a level 1 coach who has been coaching various schools and clubs for over 5 years. She is the current Team Manager for the Singapore U19s team. Sabina started her playing career under our own coach Jolynn when she was at school, was selected in the Singapore U14s squad and currently plays NSL for the Marlins club. She is also a C badge 2 Umpire. The best thing about coaching… the kids! And introducing them to the best sport in the world.